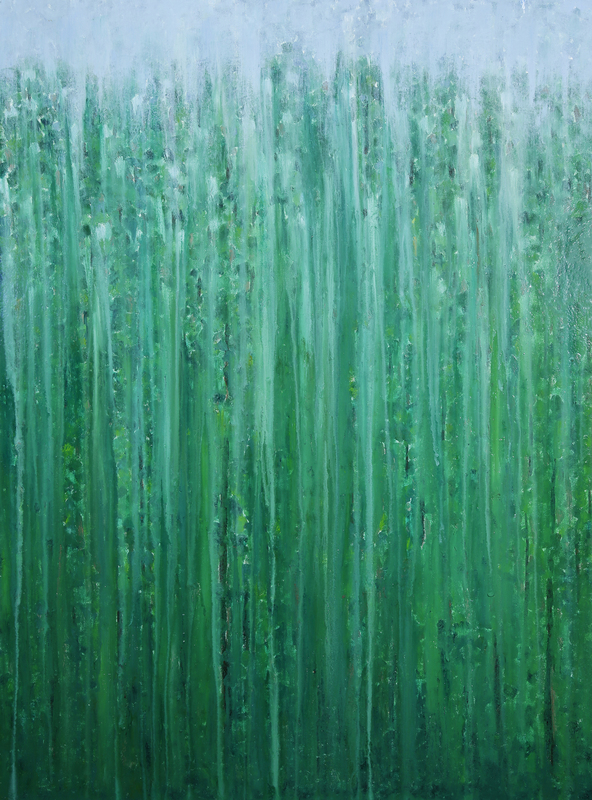 [SOLD] ©Rachel Brask, Rainy Moment 09 (Deep Forest Rain). Oil on canvas, 40″x30″. When walking or hiking deep in the woods, trees both evergreen and deciduous, saplings and shrubs all abound with a variety of greens manifested throughout, and one only sees a sliver of the sky only when looking up through the tall trees, through the rain.